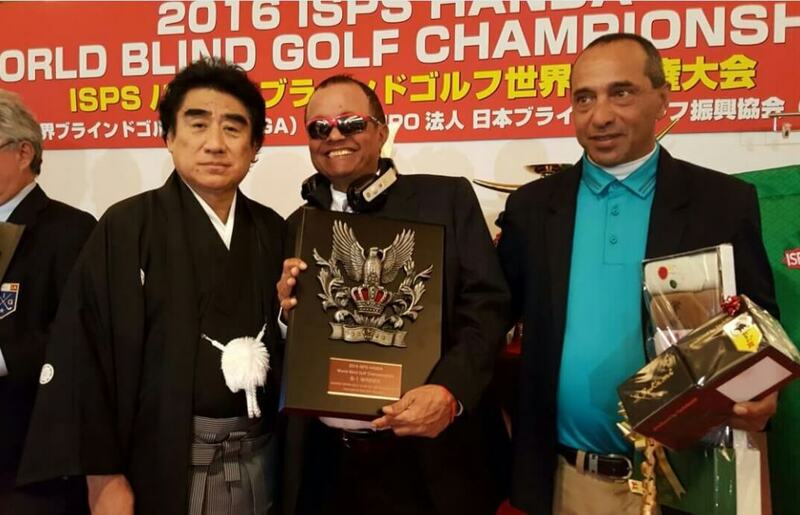 Home/About/News and Media/Zahal Disabled Veteran Zohar Sharon, won First Place at the ISPS Handa World Blind Golf Championship. The tournament brought together 56 visually impaired golfers from 16 different countries. 20 of them competed in the B1 category (Zohar’s category) which is the category of total blindness with no light perception. One of Japan’s top female PGA golfers joined the competitors on the golf course and was presented with a Beit Halochem Golf Shirt by Zohar.